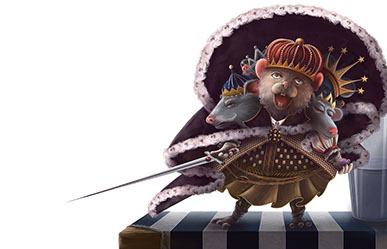 Applesauce Press offered a dream job to PCA&D’s Chair of Illustration Christina Hess: illustrating The Nutcracker! The Nutcracker and the Mouse King is a classic holiday story written in 1816, by E. T. A. Hoffmann and adapted into what has become one of the world’s most popular ballets by Russian composer Pyotr Ilyich Tchaikovsky. Just like the story’s heroine facing the three-headed Mouse King, Christy Hess was terrified! The thought of completing this 64-page behemoth with a nine month deadline was overwhelming. “Yes, I'll take on a 64-page children's book in 9 months. Yes, I'll complete over 35 paintings...in under...nine...months,” she recalls herself thinking. Again, just like Marie, the story’s heroine (whose name was changed to Clara for the ballet), Christy wasn’t going to let fear and uncertainty get in the way of reaching a goal. To meet her deadline, she spent many all-nighters and weekends tackling the challenges created by intricate environments, the marriage of text and design, and multiple figure scenes. She needed to be inventive and, in the end, found process to be invigorating. 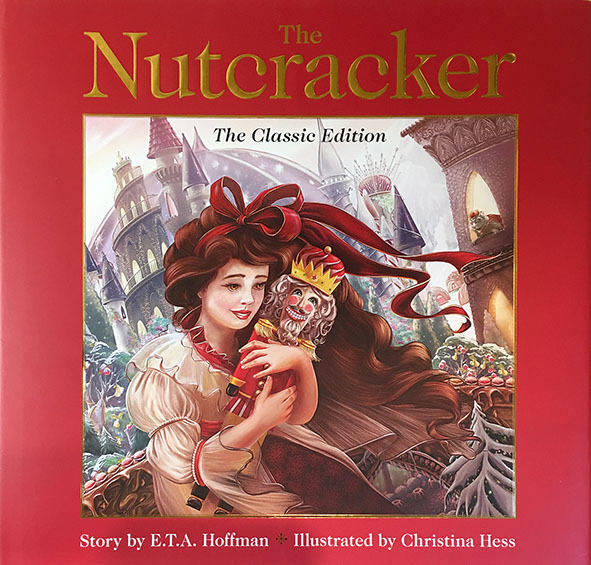 In the Nutcracker and the Mouse King, young Marie is given a marvelous Christmas toy, a Nutcracker, which comes alive and defeats the evil Mouse King in battle. Marie’s love of the Nutcracker breaks an enchantment and the Nutcracker, now returned to his human form as a handsome prince, whisks Marie away to a magical kingdom. The book, published in September, is now available on Amazon and Barnes and Noble. More information http://www.christinahess.com/the-nutcracker-book.html. The book is one of a series of classic children's books published through the Applesauce Press imprint of Cider Mill Press Book Publishers.